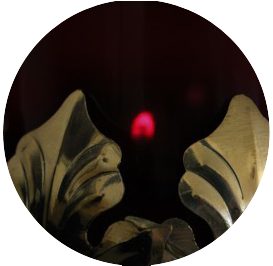 The Sisters re-unite in the presence of the Blessed Sacrament to pray our daily Rosary, Angelus, and Examen. 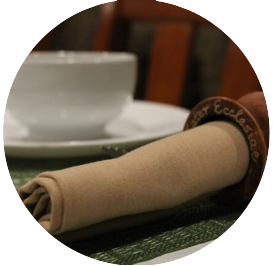 This period of prayer is followed by communal lunch with conversation. 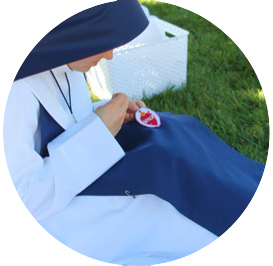 After lunch, the Sisters may spend a period of time in quiet prayer, spiritual reading, study, exercise, or hobbies – activities that support and foster her life of union with God. Class. 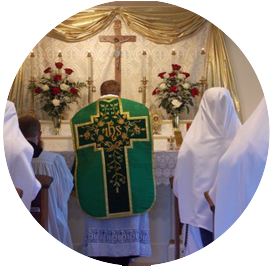 The purpose of formation is gradual identification with Christ. 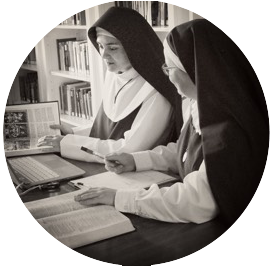 As a means to this end, the Sisters in formation are instructed in our way of life and spirituality, gradually being introduced to our spirit and the living of the evangelical counsels. Recreation. 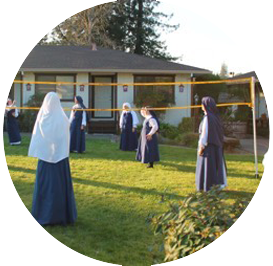 Deeply valuing our communal life, we engage in activities which promote unity and foster joy while providing necessary relaxation. We may play games or do hobbies, go on a walk or just enjoy each other’s company. 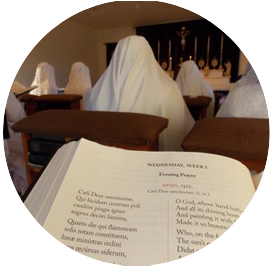 Chanted Vespers. 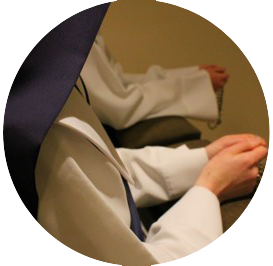 Renewed and edified by our Sisters, we return to Chapel to thank God for all the many graces of the day. 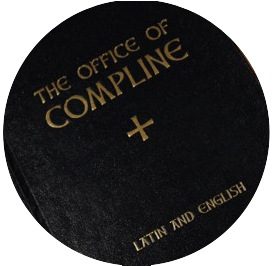 This is followed by a period of spiritual reading, or Lectio Divina. 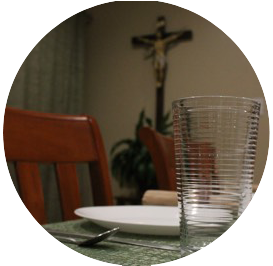 We pray the Angelus before dinner, accompanied by either spiritual reading or conversation. 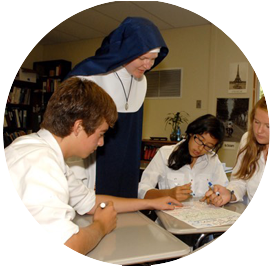 As we are physically strengthened together, so we are intellectually and spiritually formed together that we might pursue unity through charity and truth through learning. 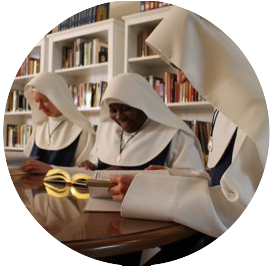 ​As the evening stillness thickens over the Convent, the Sisters spend the time after Compline in preparation for classes and apostolic endeavors, or quiet prayer, spiritual reading, walking the grounds, and personal duties. Grand Silence. 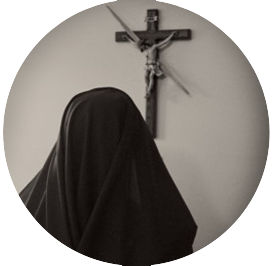 Concentrating on being alone in communion with Christ Who prayed to the Father alone at night, the Sisters refrain from speaking until silence is broken in the morning. "I to my Beloved and my Beloved to me!" Lights out. 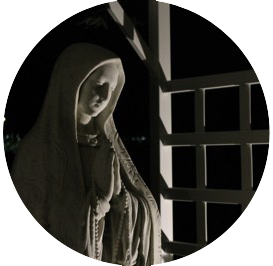 We unite our hearts with that of Our Lady as we ponder in the good things the Lord has done for us this day and retire confident in His protection.